Traditional western medicine can be augmented by incorporating alternative treatment methods. Acupuncture can provide wonderful care for various neurological, orthopedic, and metabolic conditions. 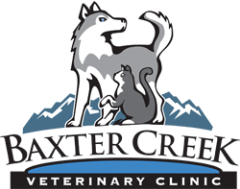 Dr. Anderson, Dr. Pearson and Dr. Bienapfl are all certified in Veterinary Acupuncture (CVA). ​Nutritional, lifestyle, and natural care options can be provided for patients in which traditional care is not pursued.